Without a doubt we could not have gotten our son to sleep without the support and guidance from Erin. We had read books and articles online about infant sleep and all it did was confuse us. Erin made sense of it all! She provided us with a simple and easy to follow plan and guided us every step of the way. Our son now sleeps through the night when before he would wake up 7 times before 10 pm on his worst nights. His naps are longer and our days have consistency! Thank you Erin for providing this tired mommy the best gift ever - a baby who sleeps through the night!! After trying the same techniques we used with our first son, who was a great sleeper, and getting another sleep consultants advice, I was sure that our 4-month old was not sleeping very well due to his reflux and he still must need the night feeds. After one night and day of starting on the sleep plan, our son was sleeping through the night and napping longer than 45 minutes during the day. Erin was great to work with and very patient with answering all my questions. I wouldn't hesitate in recommending Erin to others. We found Erin when we were at the end of our mental/emotional/physical rope with our 16 month old who still wouldn't sleep through the night. We tried everything including the dreaded CIO. We heard about Erin in one of our FB groups. We reached out and immediately felt comfortable. I literally cried when she said she could have him sleeping through the night in 7-10 days. We were both skeptical but desperate for sleep. Erin was right; he slept through the night on the third night of using her techniques. We couldn't believe it. Three months later and we still have an amazing sleeper. I will never, ever forget how it felt that first morning after he slept through the night. We were new people. Thank-you Erin. Truly. You saved us and our baby is happier too! Erin was recommended to us, and I didn't even have to speak to anyone else before hiring her after our initial consult. She is professional, knowledgeable, confident, reassuring, and COMPASSIONATE! She helped us solve our co-sleeping, need-to-nurse-to-sleep 10 month old's sleep issues, and supported us completely along the way. 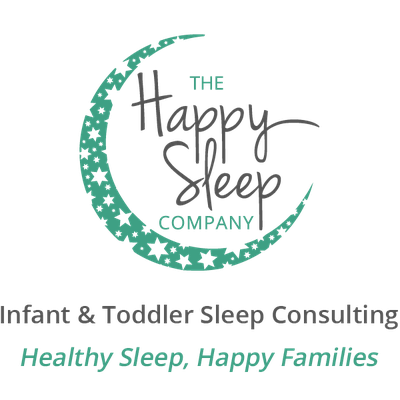 I wouldn't hesitate recommending her to anyone having any sort of sleep issues with their littles, or anyone looking to prep for an upcoming baby to avoid sleep issues all together. Working with Erin was the best decision we made! Our 7 month old was up 2-3 times per night and her naps were often very short (30 minutes) and inconsistent and often she needed to be nursed to sleep. On night two of Erin's program our daughter slept through the night; my husband and I were in shock. She continues to sleep 12 hours straight at night and her naps are much longer and becoming more consistent. I cannot stress enough the difference this has made in her energy and happiness (and ours!). She is SO much happier and bedtime is no stress now! Erin is extremely knowledgeable, understanding, reliable, competent, responsive and supportive. We cannot thank her enough and we definitely recommend working with her if your child is having any sleep difficulties. Thanks to all the extra effort you put into developing a plan that would work for our particular situation with hubby being away, we've got a routine that's easy for us to stick to. I think the girls have even bonded over it. They enjoy their tub time together every night and Avery sings "Twinkle Twinkle" to Liv every night before we put her in the crib. It's the sweetest thing! But the changes in our home did not stop at sleep. I used to be such a zombie all day. I was so easily frustrated trying to deal with a baby that was cranky from being over-tired and a toddler who is... well a toddler! And most of this would be taken out on my husband. But now that I'm getting a full night's sleep, I am able to be the mommy I want to be. I can be patient with my 2-year-old (and my hubby) and I think I'm ready to tackle potty training. Plus, with Liv's naps being longer, I have the time and energy to get a few more things done around the house. I even started getting some workouts in! Lastly, now that Liv is not snacking all night she eats so much better in the day and is really starting to enjoy the solid food that she really didn't have much interest in before. Really, our whole world has changed for the better and we have you to thank. The program worked like a dream but what really made the difference was the personal support and guidance we received throughout the whole process. It was so reassuring to know that we were on the right track and that we weren't in it alone. Thank you, thank you, thank you from the bottom of our hearts! Erin was the second sleep consultant we used for our son, and we were desperate (and feeling rather hopeless) by the time we started working with her. We were super sleep deprived and our toddler had two testy, exhausted parents due to our 9 month old who was waking up 5+ times a night (getting nursed each time). By the end of working with her, our baby was sleeping completely(!!!!) through the night and napping for long stretches on a regular basis. Erin changed our lives... I can't recommend her enough. Working with her was a game-changer. It was such a pleasure working with Erin! We were at our wits end with sleep deprivation having a child who woke up so many times at night that we lost track of the number of night wakings. And naps were almost none existent, she napped for 30-40 mins at a time if we were lucky! Needless to say we we're utterly exhausted and barely functioning. After the second day of working with Erin, we had a child who miraculously slept through the night and napped for 1-1.5 hours at a time! My husband and I were totally flabbergasted by these results! The positive change is not only in our child's sleeping habits, but she's now a happier baby overall because a rested baby is a happy baby. We now have the time to do things for ourselves and more energy to keep up with our beautiful little girl! A worthwhile investment to a new rested self and baby... what's better than that! Erin helped us get our 3 month old sleeping through the night, which he has now been doing for over 2 months! She developed a plan specifically for us based on our son's schedule, and he was trained by night 2 of the program. She was there for us every step of the way and continues to be a huge asset whenever we have questions. We love her approach and are so grateful that we found her!